BOYS GIRLS UNISEX leggings girl boy unisex toddler 1-3 years old (depending on growth). Very comfortable for the child to move around in on an every day basis, breathable fabric, soft to the skin and easy to wear and combine. 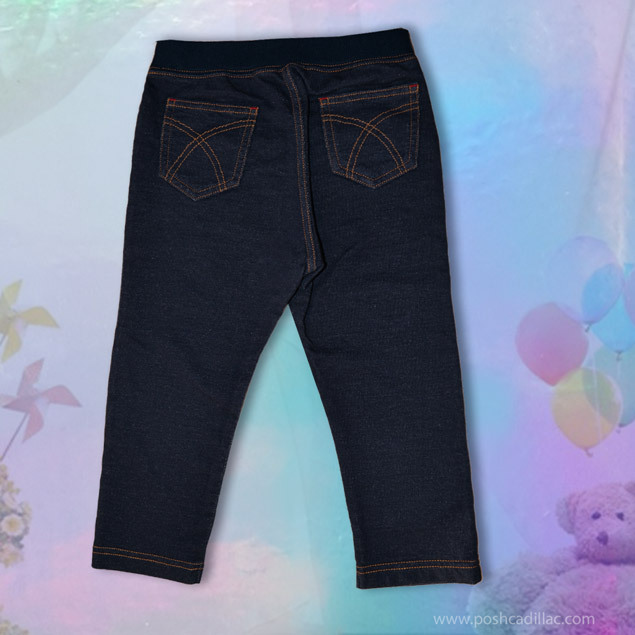 It’s denim color and orange stitching detail gives it a feel of real denim trousers, without the discomfort of denim fabric on the child’s skin. The 2 back pockets can store tittle baby items such as a pacifier, introducing your baby to pocket pants in a comfortable stretchy fabric. Makes for an ideal gift.